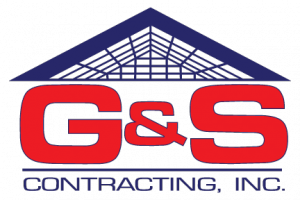 Windows | Windows, Davidson, NC | G&S Contracting, Inc.
Our goal is to provide you with windows that are affordable and provide you with the valuable health benefits that you need in Davidson, NC. Windows in Davidson – You may not realize the impact that windows have on a space, unless you have ever been in a building without them. A study performed at Northwestern University showed that natural light in the workplace is strongly linked to better sleep quality, an improved quality of life, and more physical activity than those who work in artificial light. In the home, light that comes through the windows can also provide a better night’s sleep. While this may seem counterintuitive, the body craves sunlight, but most people spend the majority of their time indoors. This is where windows become so valuable. What Type of Windows Should You Install? Casement–These windows feature one hinged sash that swings out, allowing the breeze to come in. Awning–These windows open like a casement window, but they are hinged at the top. Double-hung–These windows come with two siding sashes that provide efficient ventilation. Single-hung–Offering the same timeless look as double-hung windows, single-hung windows only have a removable bottom sash. Bay or bow–These windows cover a small area of space, but they still allow a view to be captured beautifully. We have been providing windows and other services and products in the Davidson, North Carolina area since our doors opened in 1980. Our company is family-owned and operated, and we treat each of our clients as members of our family. Each of our technicians is also trustworthy and reliable, so you can feel comfortable having them in your home for your project. If you have been thinking about adding or replacing windows, give us a call for pricing and an estimated timeline.